This statistic illustrates the share of the parcel market in the United States in 2017, broken down by product type. 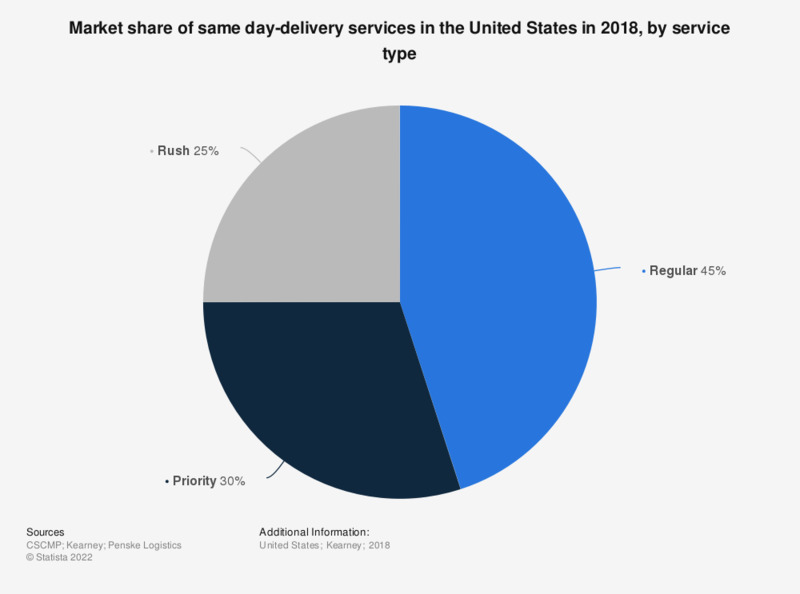 In that year, the express segment accounted for 46 percent of the U.S. parcel services market. Ground transportation accounts for the largest share of the parcel market in the U.S.
Everything On "FedEx Corporation" in One Document: Edited and Divided into Handy Chapters. Including Detailed References. To your knowledge, which of the following services is delivering parcels in the area your company is based in? Which of the following postal services does your company use for sending parcels? To your knowledge, which of the following services operating in the area you live in can you use to send parcels with? To your knowledge, which of the following services is delivering parcels in the area you live in? When you send parcels, which of the following services do you prefer to send parcels with? To your knowledge, which of the following services operating in the area your live in can you use to send parcels with?